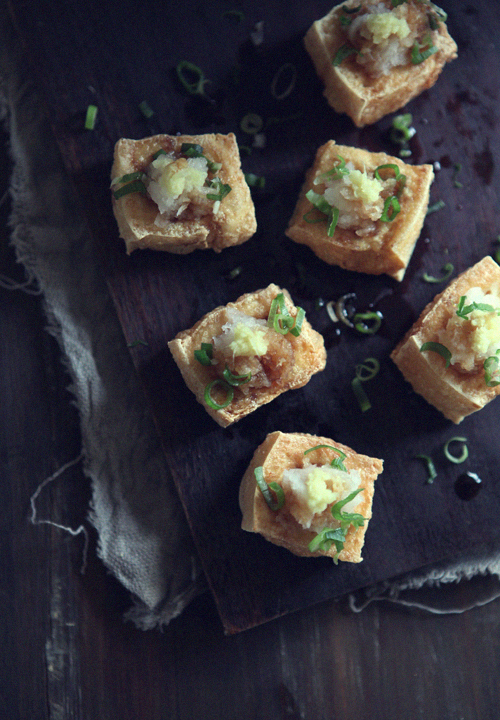 This simple deep fried tofu is called “Atsu-age”. Freshly-made atsu-age has a lovely texture ― crispy on the outside and soft, fluffy on the inside. Yum. Wrap the tofu in a clean tea towel or some layer of kitchen papers, and place a heavy thing (such as a pan) on top of it to force out excess water, then leave it for 30 minutes. 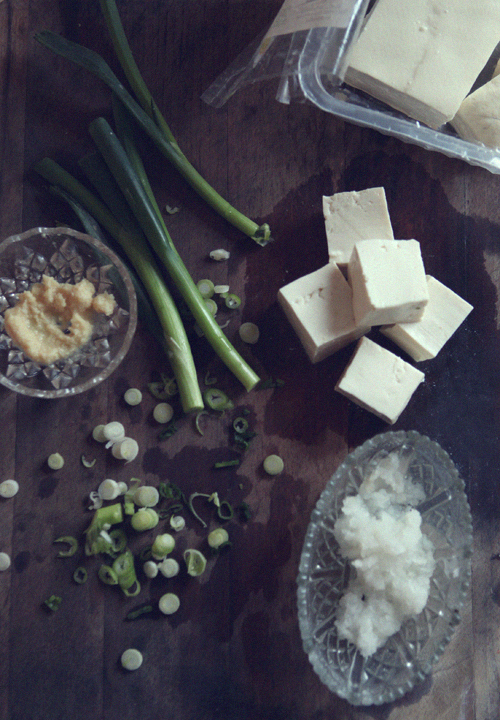 Cut the tofu into 1 inch cubes and pat dry with kitchen paper. Heat the oil to 350F/180C and deep fry the tofu until light golden. Place them on kitchen paper to remove excess oil. Top with grated daikon radish and ginger. Garnish with chopped spring onion and sprinkle with a dash of soy sauce. You are currently reading Deep Fried Tofu (Atsu-age) at Fish Trip Cafe.